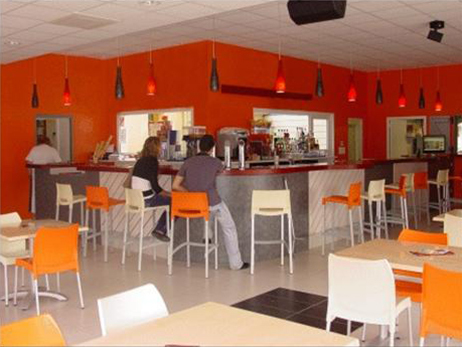 Hire of reception room in the Vendée near Les Sables d’Olonne. The reception room is not available for hire between 15 June and 31 August. The room is perfectly adapted for your birthday party, wedding, christening, reception, banquet or seminar. 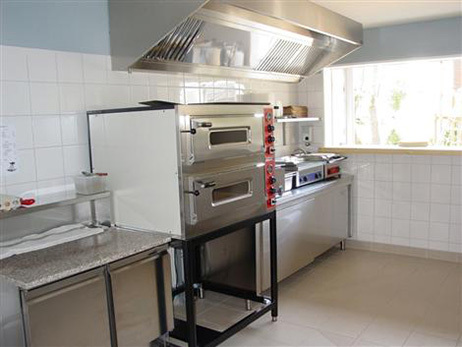 The kitchen boasting 100% stainless steel equipment is ideal for your evening or weekend occasion. No need to worry about food warming equipment, crockery or anything else as, for a small charge, you can hire our air conditioned room with all its equipment. And as it’s no fun without music, the room is equipped with the latest sound system. Mixing table, double CD turntable, lighting… everything you need! You can just relax and enjoy yourselves. And if you aren’t too familiar with the floor cloth, you can choose the cleaning option so you won’t need to worry about that either! And for maximum fun, why not hire one of our mobile home. The base price is 500 euros for 60 guests (and 25 euros extra for each group of 10 extra guests). An 800 euros deposit is required for the hire of the room.